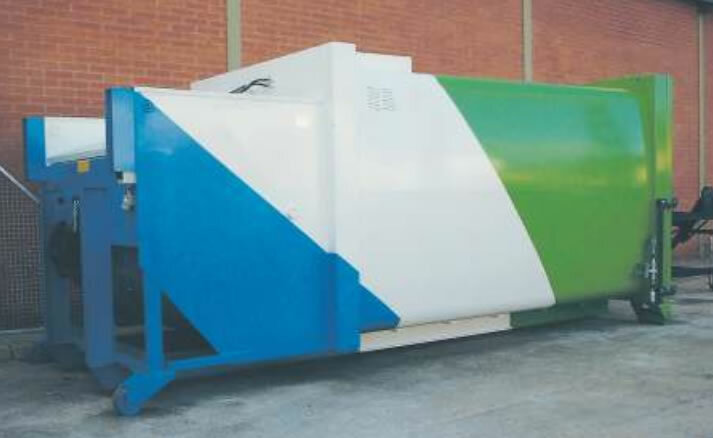 This is a highly efficient portable waste compactor is specifically designed for the compaction of wet waste thanks to its pendulum ram design and enclosed hydraulic cylinders with leak proof charge box. Ideally suited to industries such as food processing were waste streams having a high liquid content. This machine can be supplied with a hydraulic bin tipper for lifting and emptying a full range of wheeled bins. The SPB SW- E seals the waste in side preventing leakage and odour.